Morpeth Amateur Swimming Club had a very successful gala at the weekend, taking 20 swimmers to Durham to compete in the annual Medley Challenge. Swimmers competed in individual heats for all four strokes with the swimmers awarded points depending on their times. Six swimmers from each age group with the highest cumulative points then qualified into an individual medley final. Read the full report here. The qualification times for next year's County Championships (the 'N+D's) can be found below. For a lot of our swimmers this is the highlight of the season, if any swimmer achieves any of these times in upcoming galas, or have already achieved them, they earn the right to take place in these Championships. The times are tough but whether they can achieve a qualification time for one, or for many events it is great achievement for the individual and for the club. As we will not be using official timing equipment at our MASC club gala these times cannot be taken into account but all the other galas the club will be entering will do. There are more details on the Northumberland and Durham Swimming Association website that can be accessed from the Links page. Hopefully everyone is now aware of all the galas the club will be attending over the coming season. Kay has circulated details so hopefully we can see loads of Morpeth swimmers putting all their hard training to use. Every single one of these galas can only take place if there are enough volunteers on poolside. There needs to be a specific number of judges, timekeepers and starters for these galas to be able to take place. There are several clubs (of which Morpeth is one) that have no trained volunteers of their own so we are wholly reliant on other clubs to cover all of these events. At this year's County Championships (the 'N+D's') any club that has entered swimmers but cannot provide an official will have to pay a 'fine' or 'premium' of £50/session!! The committee has therefore asked me to ask all members for a volunteer (or 2!) to consider doing the necessary training in order for them to qualify as an official. The starting point would be for an 'Official Judge- Level 1' course, initially it involves attending a 2 hour training session. After that it is a case of doing the job under the watchful eye of an allocated official at several galas until being finally 'signed off' as an approved official. The training course can be started by anyone 15 years or over but most officials are parents that would be sitting watching anyway so why not help out the club and get a free pass to watch the action poolside? For details of the next course click here, I appreciate it is very short notice but there is likely to be other courses in the near future if you are interested but can't make this course. If anyone is interested, or wants any further information please contact me directly (email Simon ) or Kay who is on poolside most evenings. The Wednesday night sessions have become increasingly popular with many of the squads over recent times which is great news for the club, however, it means that leaving one lane free for adult swimmers is far from ideal on such a popular night, especially as there are such low numbers of adults attending. For this reason it has been decided by the committee that the Masters session, currently running at 20.15 - 21.00 on a Wednesday will be moved to 20.15 - 21.00 on a Monday, which is generally a quieter night with immediate effect (first session Monday 7th Sept). The Rotary Club of Morpeth has made Peter a Paul Harris Fellow in recognition of his tireless work and service promoting and encouraging swimming and sport within and for the local community. This is a Rotary International Award. Peter is one of the original founders of the Club being Chief Coach and Secretary for many years from when the club was formed in 1969. Throughout his life he has been a very active sportsman and a successful swimmer and coach for several clubs in Northumberland and Durham. He has been President of the club since 1991. I am delighted to announce that Kay Howe has been appointed as the new head coach of MASC. She will take over the role from John Nicholson when he steps down on July 17th. To assist Kay in this new role we will also be adding another coach to the team - Chris Reekie. Chris has had many years of experience, having worked at Tynemouth, Newburn and is currently at Borough of Stockton SS. He will be mainly covering morning sessions but will also be helping Kay put together session plans for the whole club. I would like to personally thank John for his time and efforts at MASC and welcome both Kay and Chris to their new roles. Hannah Seymour has become the first Morpeth ASC registered swimmer to be invited to compete in the British swimming Summer Championships, she has also qualified in the English Summer Championships. 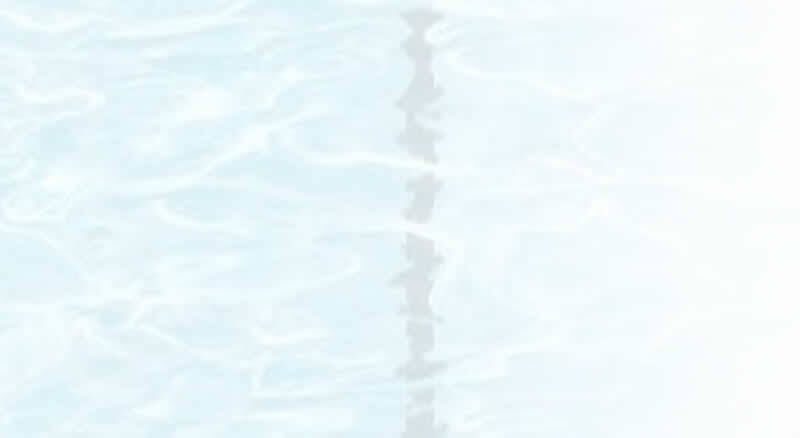 Following changes to the way in which competitive swimming is organised swimmers are invited to participate in these national events if they achieve high enough ranking within their age group within a window between April and May (this year extended to include the first weekend of the NE Regional Championships) in Level 1, long course, competition. Hannah is currently ranked 17th in the 13/14 age group in Britain in 50m backstroke, recording a time of 31:84 in a recent gala at Sunderland, allowing her entry into the British championships. In the heats at last weekend's NERs in Sheffield she gained a sufficiently high ranking in 100m backstroke to be invited to the English championships (1:09:97). Congratulations Hannah, from all at MASC. Congratulations to the following Morpeth ASC members whose sporting success throughout 2014/15 was recognised at the Morpeth Sports Council Awards Special Event on Thursday 21 May 2015 held at Morpeth Rugby Club. The awards were presented by the New Mayor of Morpeth Alison Byard. Katie Cook was awarded the NPFA Salver. The club took part in the Lions Swim on Saturday the 7th March 2015 to raise money for charity. They swam a relay continuously for 55 minutes. The Girls Team the Minnows swam a magnificent 146 lengths. The Boys team the Tadpoles swam a terrific 152 lengths. A total of £363 was raised, congratulations to all involved. The club’s 46th Annual General Meeting will take place at 8.00 pm on 28th April 2015 at The Cygnet Lounge, White Swan, Newgate Street, Morpeth. All members aged 16 or over on this date are invited to attend. Although the committee tried very hard to retain the Collingwood pool session, exploring numerous avenues, in the end it was not possible to comply with poolside lifeguarding regulations. In order to keep as many of those young members as possble within the club, they have been invited to some of the sessions at the leisure centre, spread across a few different sessions in the short term. Over the past few months there has also been steadily increasing numbers attending the clubs Sunday session. In an attempt to deal with this increased interest the club has managed to obtain a new 6.30-7.00pm slot on Friday which should help to spread the numbers across all sessions. Over the next 2-3 weeks the head coach (John N) and his team will be assessing all swimmers and trying to make sure all sessions and squads are as evenly balanced as possible in terms of numbers and abilities. Once this is complete there are likely to be a number of swimmers who are asked to move squads/sessions as appropriate. I thank you in advance for your patience in this matter. The club will be taking part in the Diddy League this year. The Diddy League is restricted to swimmers between the ages of 9-12 inclusive as at the last Sunday in November (29th November this year). Previous galas have lasted approx 3 hours in total. Further information regarding the Diddy League will be sent out as and when it is available. It is now time to complete a new membership form, again - Sorry. The annual fee has gone up from last year, this increase has come from the ASA and this has and always has been set by the ASA. 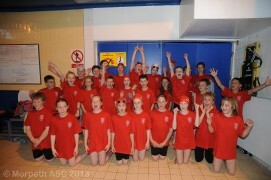 As a swim club we have to be registered to the ASA, to run and allow swimmers to be competitive. All swimmers and members of the club must complete a new membership form and correct fee to be sent in with completed forms. Cat 1 - £15.00 For all swimmers who are NOT a competitive swimmer. Cat 3 - £15.00 Non swimmers & administrators. From 5th January 2015 until 28th February 2015. This gives everyone 7 1/2 weeks to complete, return and make payment. If you are unsure about which category is assigned to you, please contact Lindsey Henderson, our Membership Secretary who will be happy to help. Email Lindsey . Full details and a membership form to download are available on our Fees page. We have received the following mail – click here read the document referred to. Attached is the current version of the above providing information of the new Swimming Competition Structure, specifically targeted at ASA Clubs, Counties and Regions. This is a live document and updates and additional information will be made available as and when appropriate. Please can you ensure that this is put on your club website and also distributed to your committee, coaches and parents. We will endeavour to answer any questions relating to this document at the re-convened ACM this Saturday 11th October at 10.30 under AOB at the Sunderland Aquatic Centre. It is an exciting time for swimming in Britain. The Domestic Competition Structure is changing. This brochure will outline the changes, and explain how these aim to contribute to the development of swimmers in the sport going forward. Congratulations go to our overall 2014 Swimmer of the Year Hannah Seymour. Also congratulations to our Squad Swimmers of the Year Alice Hudson (Development), Lauren Cummings and James Wells (B Squad), Daniel Dixon (A squad) and Erin Aitchison (AA Squad).